e-Archive refers to retaining and submitting an invoice created in electronic medium in the same environment. In order to benefit from this application, taxpayers must be registered with the e-Invoice application introduced with the General Communiqué on Tax Procedure Law No. 397. 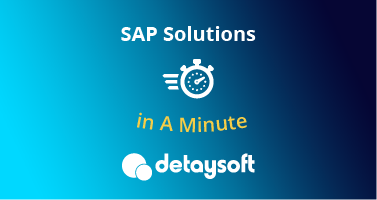 Detaysoft creates e-transformation solutions that comply with different countries’ regulations. • In order to become an e-Archive taxpayer, an organization should first be an e-Invoice taxpayer. • e-Archive is mandatory for taxpayers that sell goods and services online and that have posted gross sales revenues of TL 5 million or more in their 2014 profit and loss statements. • e-Archive can be sent in paper or electronic format. • For the invoices of the previous month, an archive report is until the 15th of each month. • The issued e-Archive invoices are reported to the Revenue Administration. • Contributes to your organization’s sustainability goals. • Works in integration with SAP. • Easy adaptation with user-friendly screens. • An approval process can be added for outgoing invoices. • Before the invoice is transferred to e-Archive, a pre-confirmation email in invoice format can be sent to the customer. • e-Archive invoices are stored in digital area for 10 years. • Detaysoft, with 20 years of experience and more than 150 e-Archive references, maintains its reputation as a competent provider in the industry. • e-Archive solution, developed by Detaysoft, complies with operational efficiency, productivity and international standards. Does your e-Invoice package require PI integration? Our package also works without PI integration. Could the e-Archive package be a development of e-Invoice? e-Archive is not a process that is integrated into the e-Invoice system. To facilitate the use of the package, we position it over the e-Invoice package. Are the customers that switch to the e-Archive system automatically updated? The customers that switch to the e-Archive system do not need to be monitored on the system. e-Archive contains the invoices issued to companies that are not e-Invoice tax payers. e-Invoice taxpayers are known to be automatically updated. Does the e-Archive package include incoming invoices? e-Archive does not cover incoming invoices. Can e-Archive invoices replace e-Waybill? Pursuant to Tax Procedural Law General Communiqué Serial No. 433, Articles 7.1. and 15, showing the time stamp (hour and minute) next to the issue date in the e-Invoices to be issued for users registered with the electronic invoice application and in the e-Archive invoices issued to users who are not registered with electronic invoice application, will make the printout of the e-invoice serve as a Waybill. Such printed paper must bear the statement “Serves as Waybill” and must be signed by the seller or its authorized representative. However, in order to benefit from this practice, the electronic invoice must be issued at the time the goods are delivered. If e-Invoice is for the performance of a service and issue at the time of sales, such printed paper must be presented to the requesting customer. How does the e-Archive cancellation process work? Can the customer just cancel it or enter a reverse record? If they can, would it be shown in the monthly report? The cancellation process works in the same way as e-Invoice. The reverse records will be seen in the same month if they are entered in the same month or in the next month if they are not entered in the same month. Who sends the e-Archive report to RA? Since we hold the necessary authorization and permits with RA, we as Detaysoft send the e-Archive report to RA. Companies that wish to send the reports themselves must obtain special permits. What is the difference between full integration and a special integrator? • Generates, submits and tracks electronic records according to the technical guidelines set out and published by RA. • In e-Invoice and e-Archive, signs electronic records with its own financial seal without the need for the taxpayer's financial seal or using the HSM device with high-speed signing power. • Undertakes for its systems to be accessible and functioning 24/7. • In addition to the cost of IT system, server and database costs also belong to the special integrator. • Follows updates in legislation or technical guidelines on behalf of the taxpayer, provides information and applies the updates in its system. • Special integrators, which provide costing per invoice and storage services, store the electronic records for the committed period. • Special integrators back up taxpayers’ data, thus preventing data loss in disaster situations. 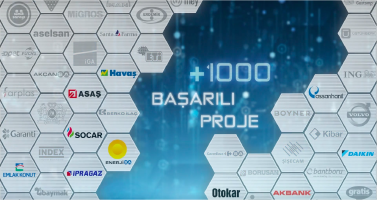 • The systems offered by special integrators and ERP applications can exchange data automatically. • Special integrator cannot apply to RA for e-Invoice, e-Ledger on behalf of the taxpayer. • It cannot take on additional responsibilities other than those allowed by RA for special integrators. • The taxpayer itself is required to manage the IT system and server management, data archiving costs, following updates in legislation and technical guidelines, and their implementation to the system. What needs to be done when switching from the old e-Ledger system to the new Detaysoft e-Archive system? Regarding the migration of your data from your old e-Archive system to the new Detaysoft e-Archive system, we request invoice envelope and application reply envelope UBL files. (This is important in terms of replying to the old commercial invoices received within the legal period as approved/rejected.) If it is not kept as an envelope file, we can also migrate the invoices to the new system via the signed invoice UBL file. What are the requirements of the SAP system? The e-Invoice/Archive package can run in SAP R/3 4.6C and higher versions. Is the work to be done on the visual file (XLST) for the e-Archive on the basis of Taxpayer ID included in the package? How does the system differentiate e-Invoice and e-Archive? The system directs e-Invoice taxpayers to the e-Invoice screen, and the others to the e-Archive screen. What is the cost of storage, and how is it calculated? The cost of storage is a cost that the special integrator service brings. In cases when Detaysoft server is used, the monthly storage cost is calculated by adding the incoming and outgoing quantities. What are the first steps to take at the start of the project? Is the Taxpayer ID check made on a daily basis? This service is provided daily. Furthermore, the service is active during the day. Our integrator service records the registered taxpayers received from RA in the system on a daily basis and provides it as a service for external systems.